Cabinet (E) and (F) Hardware. 5) detaching two cabinet brackets (Figure 3, Item 2) from shelter loor. 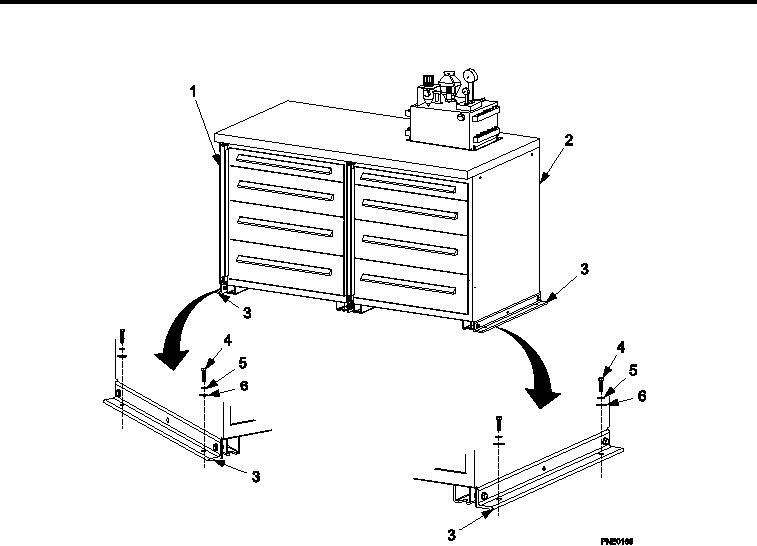 6) securing two cabinet brackets (Figure 3, Item 3) to shelter loor. Torque bolts (Figure 2, Item 4) 160-190 in. lbs.